Our customers depend on heavy-duty, high-cost equipment on a daily basis, so losing even just a single piece of that equipment is not an option. Our newest offering gives customers a simple way to discreetly and affordably track any asset. Save time and reduce paperwork with the ability to quickly locate every asset, right at your fingertips. Protect valuable assets with geofence alerts that let you know if assets aren’t where they should be. Drive ROI with dormancy data to help you maximize equipment utilization. A durable, waterproof shell that will outlast the harshest conditions. Anti-theft screws and a custom screw bit. An easily camouflaged surface designed to bond with any standard spray paint. Unprecedented cellular connectivity with purpose-built LTE-M capabilities to keep you connected in the most remote locations. Long-lasting replaceable batteries that last up to 5 years. With fully digitized asset management, spend less time updating the whiteboard and taking trips out on the field to track down remote equipment. 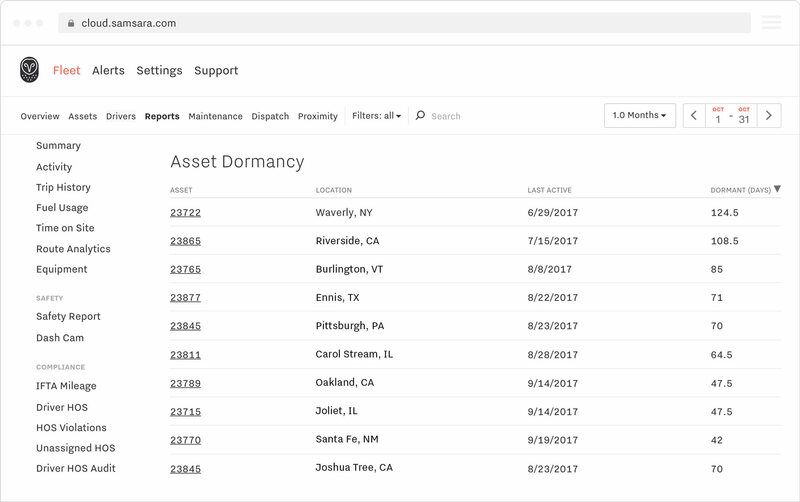 In just a few clicks on the Samsara dashboard, you’ll get access to location data for all of your assets. 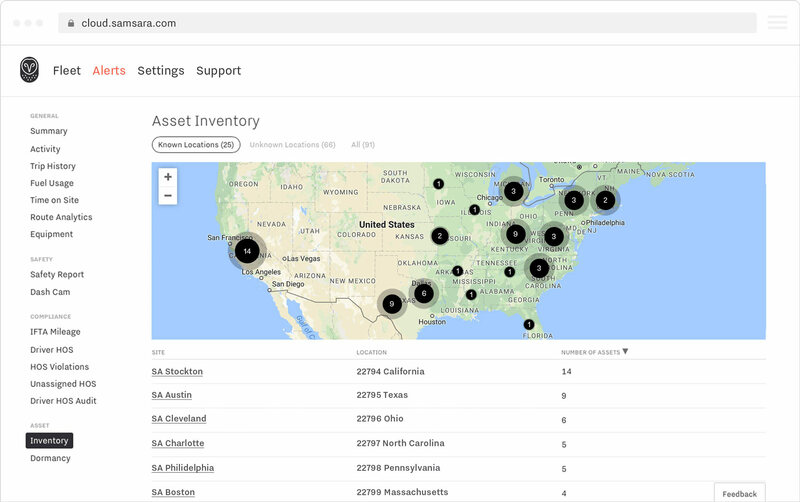 The Samsara Asset Inventory Report makes it easy to see where all of your assets are at a glance, eliminating the need for manual and time-consuming asset tracking. 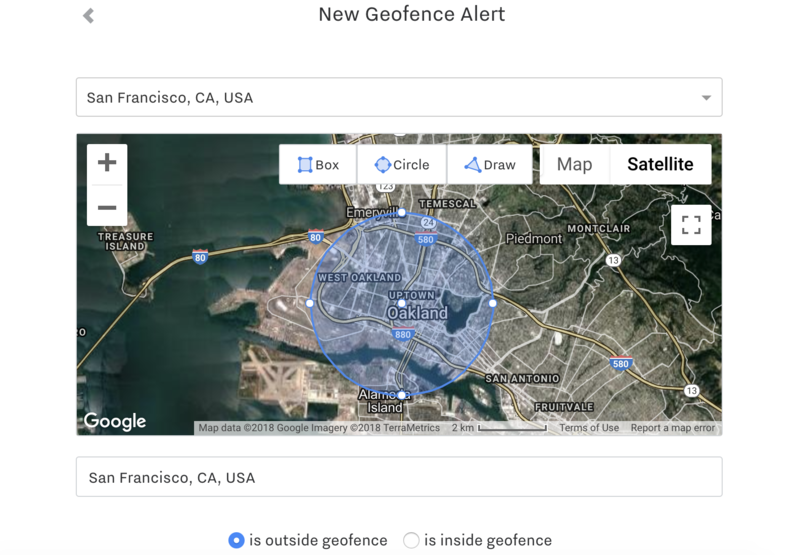 With the ability to set custom geofences, you can rest easy knowing that your assets are exactly where they’re supposed to be—and get notified if they aren’t with geofence alerts. Our customers have saved thousands of dollars in recovered equipment with alerts that keep them in the know when it matters most. 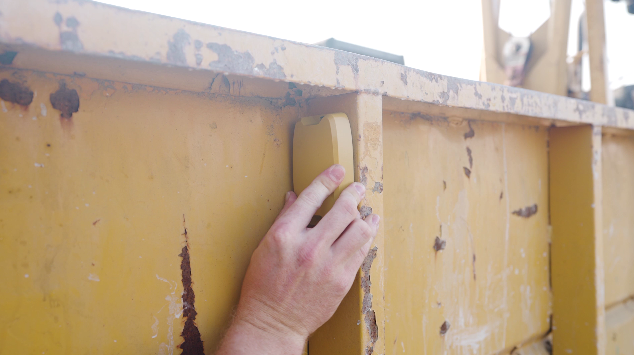 Griffin Dooling, the owner of Blue Horizon Energy, had recently installed Samsara asset trackers and noticed in his dashboard that one of his trailers was at an unusual location. He drove to the trailer’s GPS location and found it stashed with a new license plate, filed off VIN numbers, and missing any noticeable manufacturing decals. Local law enforcement was able to recover the stolen trailer and the contents inside, in total worth about $10,000. The Samsara Dormancy Report gives you visibility into when your assets were last used to help you improve asset utilization. Whether that means renting out equipment that is underutilized or selling unused equipment, you’ll have the right data at your fingertips to help you make those decisions. Samsara’s tracking capabilities don’t end with unpowered assets. Unlike other standalone systems, Samsara can also sync data from your vehicles and warehouses to create one integrated dashboard to connect all of your operations. We’re excited to ship this new product to customers and can’t wait to see its impact on businesses. The Unpowered Asset Tracker is available starting today - reach out now for a free trial.